We here at the Skulldogshow want to wish all of our fans, friends and family a HAPPY THANKSGIVING! 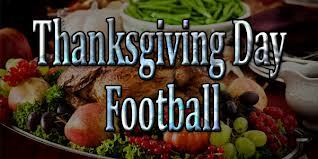 As we declare every year this is our favorite holiday as it is centered around 2 things: Food and Football. Literally, what could be better…. By now you have seen our blistering record in the month of November topped off by a 16-6 record last week whilst going 5-0 on our BEST BETS. I am not sure how much you would have to pay a “tout” for that kind of performance but here at the Skulldogshow it is free, entertaining and winning. What a deal, all we ask is that you tell a friend, we sure would be thankful for that small effort. As Walt Whitman once wrote “Go Forth Young Man” here are our NFL Turkey Day picks and NCAA best bets for this coming weekend. You will need to check back Sunday am for our final week 12 NFL picks. 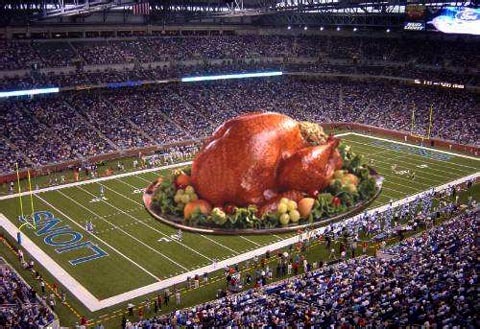 Mississippi -1.5 over Miss St.
Washington -13.5 over Washington St.
Oregon -9.5 over Oregon St.
Thursday – Happy Turkey Day! Have a great holiday and remember to stay tuned to skuldogshow.com for the latest winning action and all we ask in return is that you spread the gospel of the skulldogshow by telling a friend….. The SkullDog Show got smacked around a bit last week…and look forward to some revenge this week. Luckily, some of our best bets hit, so unit-wise, we didn’t take much of a hit (-300 on a 3-7 week). So far this year, when we have had a bad week, we usually turn it around the following week. Have a great Thanksgiving everyone! For the full 2011 year, The Skulldog Show is up 8,400 units! These will be the nationally televised games that we will be providing our free picks on this week. Make sure you listen to the Skulldog Show everyThursday night 8:30PM PST, where we will go in-depth about the games, talk some smack, take some calls and get fired up for 2011 kickoff. Also, share with friends and follow us on twitter…keep the love and the free picks flowing. Due to Thanksgiving, we will not be hosting the show on Thursday, but rather a SPECIAL BROADCAST TONIGHT at 8:30 PM PST. Check back on Friday morning for all of our documented free best bets and top picks for ncaa football week 13 and NFL week 12. Happy Thanksgiving! There are 12 nationally televised games this weekend that we at the Skulldogshow have handicapped for your convenience. Our record (73-56) on the year speaks for itself and best of all our picks are free! Don’t listen to your douche bag of a brother in law on his “home dog” theory in the NFL or any other misguided advice on this weekend’s action. Trust the experts here. And as always our picks are free, entertaining and historically 70% accurate! On to the action and for your convenience they are listed in the order of game played…. (Going Large) Oklahoma +2.5 over OKLAHOMA ST. Listen to The Skulldog Radio Show live every Thursday at 9PM PST. You can call in…and get more insight on the games we are picking. Follow us on Twitter for bonus picks during the weekend.